Don’t you just hate when you want to sport one of your favorite lipsticks only to find out that your lips are too dry? I have many days like that. No matter what I do, even if I exfoliate the living daylights out of my lips and slather it with twenty layers of lip balm, they’re still just too dry and cracked for lipstick. I end up having to reach for a lipgloss, lip tint, or just brave the day with bare lips. This is why I’m never without lip balm at home or in my bag. When I don’t have anything on my lips, I need to make sure they’re moisturized at all times, especially just in case I need to quickly doll up and lipstick is absolutely necessary. Before I go to bed, I always apply a generous coating of lip balm too. Tinted balms are my favorite because at least I can get away with some color on my lips at the same time. I don’t discriminate when it comes to lip balms. I’ll try virtually any kind, though I do prefer the ones that don’t have a strange ‘taste’ to them. You know what I’m talking about. Usually those ones I find are balms that claim to be organic or all-natural. But when my cousin kindly gifted my sister and I with these Human Nature 100% Natural Lip Balms (Php79.75 each) I decided to give all-natural lip balms a chance again. Product info: Kiss dry, dull lips goodbye with our better-than-ever 100% Natural Lip Balms made with the finest blend of cocoa butter, beeswax, and all-natural oils. Pamper your puckers with a smoother, softer glide and mouth-watering natural flavors that are sure to keep you reaching for your lip balm again and again…and again! Perfect as a base for Mineral ColorCreme Lipstick, they’re great for everyday use to keep your lips soft, moisturized and protected from drying and chapping. Did you know: A lot of women use lip balms without realizing they contain petroleum, mineral oil, and paraffin, synthetic chemicals derived from crude oil – the same stuff used to make gasoline for your car! With our lip balms, you’re sure your lips get to taste only the good. 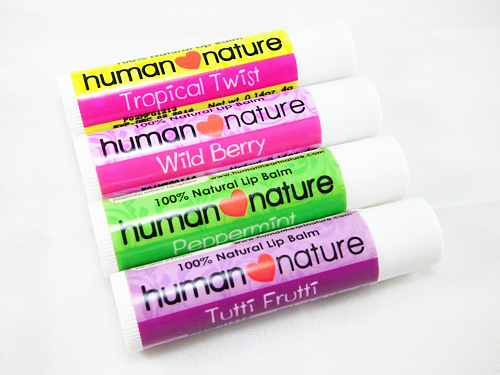 The official Human Nature website lists only 3 variants of lip balm available: Tropical Twist, Wild Berry, and Peppermint. I’ve heard that Wild Berry is the newest variant so I’m not sure why Tutti Frutti isn’t listed on the site. I would think it would be the other way around and it was just a case of the site not being updated yet. They also show a picture of one called Choco Fudge but it’s not on the site and I haven’t seen it in stores so I assume it’s been phased out. Either way, there seems to be a total of 5 different kinds. 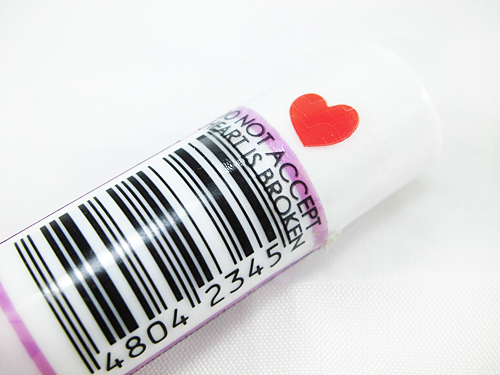 All new lip balms are sealed securely! Normally I don’t mind if a product has a safety seal or not, but sometimes it’s very hard to tell if a product like lip balm, especially the sheer kinds, has already been used or not unlike with lipsticks. The fact that you can tell if these are unused or not is a plus for me! These are the lip balms themselves. On top is Wild Berry, left is Tropical Twist, right is Peppermint, and bottom is Tutti Frutti. All of them faintly smell like their respective names, but not in an artificial, sickly way like with some other lip balms. None of them have a funky or strange taste to them also, which is a relief to me! The lip balms are sheer with different levels of well, sheerness. Peppermint on the far right is completely sheer while Tropical Twist leaves my lips with a light, almost mauve color when applied. It seems to have a sheen to it too that kind of reminds me of lip gloss. It’s still hard to detect if it’s on my lips though, again because it’s so sheer, so don’t expect it to look or perform like a tinted lip balm. 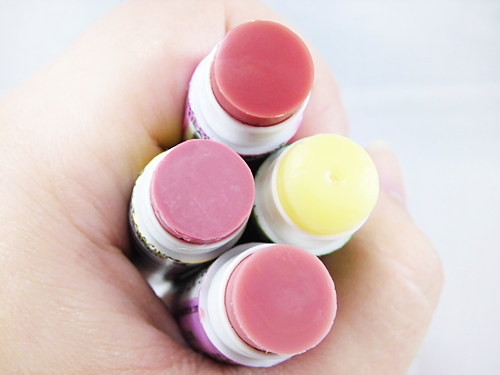 All four lip balms perform on the same level. They’re moisturizing, but they don’t leave an overly thick, waxy or greasy feeling on the lips no matter how much you apply. 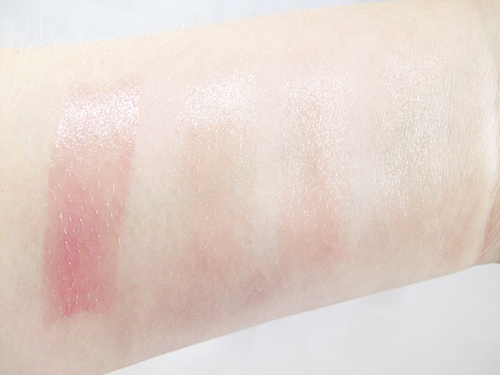 Peppermint gives off a tingly, cooling sensation when you apply it which makes it my favorite out of all of them! When I go out, I tend to use Tropical Twist, mostly for the more observable sheen it has compared to the others. On occasions that my lips are so dry to the point that they’ve got cracks and flakes like nobody’s business, these balms are unfortunately not enough to get rid of them alone. I need to exfoliate thoroughly and then follow it up with a balm. I believe that’s the case for most lip balms and very dry lips though, so I can’t really fault the product in that aspect. As I mentioned, they’re moisturizing, but I have tried other balms which I found to be a lot more moisturizing in comparison. Nivea’s Med Protection and Essential Care lip balms are still my favorites when it comes to how moisturizing they are. After using these Human Nature ones, I find that sometimes my lips still have those dry cracks or patches on them, even if my lips are only moderately dry. Their performance as natural lip balms are still quite impressive to me, however, particularly because in most cases organic or all-natural products aren’t very effective on me. If your lips don’t get as dry as mine then I’m sure these would work even better for you, so I highly recommend them! They’re great also if you don’t want to spend too much because they’re less than Php100 or less than $2 each. Doesn’t make my lips feel overly waxy or greasy. Peppermint variant leaves a temporary tingly and cooling sensation on the lips. Not moisturizing enough for me when my lips are moderately or extremely dry.